"Dear Children, let us not love with words or tongue, but with actions and in truth." Eros love is emotion. It is based on chemistry and feeling. Phileo love is brotherly comrade that produces affection. Agape love is action based on willful choice to love and will to love anyway. It is willful and volitional, hence sacrificial and unconditional. God's love for humanity, created in His own image, is agape love. His love for us is manifested in many ways, which ultimately culminated into the cruel and painful, yet redeeming death of Jesus Christ on the Cross. All Christians, believers and followers of Jesus Christ are expected to live a life of love, agape love, which marks a clear distinction for Christian believers. Through Apostle John's letter, the Lord speaks clearly to us [Christians] to love people in action and in truth, regardless if they are lovable or not. Christian love is willful and sacrificial. Missional entrepreneurs are expected to follow the example of Jesus Christ's love in carrying out their mission of loving and serving their people through business as if they work for the Lord (Colossians 3:23,24). Such ministering attitudes and manners will start to break down walls with a crack here and there in the hearts of people. This could be the spark that begins the conversation of "Who is Jesus Christ?" It is evangelism. It is mission. The Lord continues blessing SfK Ministries with His people whom He has raised and used for His Kingdom in different fields. Rev. Danny Kim, M.D. will join SfK Ministries as the Vice President of Transformation and Advisory Support effective December 1, 2016. It is God's providence and a tremendous blessing to us at SfK Ministries to have him on board as we prepare for the first year of real ministry operations in 2017. Dr. Kim was a businessman running an international trading business in the Dominican Republic. God called him and he became a medical doctor. Later he was ordained as a pastor as well. He has been serving the Lord as a missionary in Dominican Republic and Haiti for the past twenty years. He has now responded to His calling to serve the missional businesses through SfK Ministries. 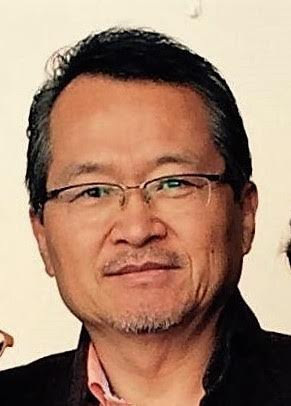 Please join us in welcoming Dr. Danny Kim to SfK Ministries! Jeffrey spent a week in October in Arusha, Tanzania to assess a missional business in its needs, resources and capacity. His trip including a day-long training on basic business management skills in addition to a biblical perspective on business as mission. This business with a focus on education, energy and entrepreneurship seems to have great potential for success. The training was timely and fruitful. Praise the Lord! Jeffrey and his wife, Kristin, packed and left Rwanda to begin the process of relocating their primary residence to Chiang Mai, Thailand. They are currently visiting several cities in the U.S. to meet with people, including their two daughters over Thanksgiving, and Kingdom Fellows scattered in Denver and Los Angeles. They will also minister to churches and other ministries. SfK's database development has changed the course from using Salesforce.com to developing a proprietary solution, and the effort has picked up steam and speed. We aim to have the first UAT before the year-end. The process of establishing SfK Korea and BAM Fund is somewhat slow-going primarily due to challenges coming from meeting certain regulatory compliance requirements. Nonetheless, we are finding ways to meet the requirements and proceed. We are aiming to establish SfK Korea by January 2017. The process of establishing SfK Asia in Chiang Mai, Thailand will pick up steam and speed when Jeffrey lands in Chiang Mai on November 30th. SfK Ministries will launch the year-end funding campaign for the rest of 2016. Friends and family members are encouraged to participate in giving to support SfK Ministries before the year-end. 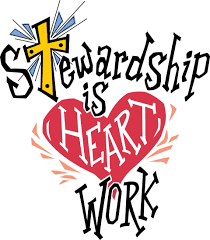 God provides for His anointed ministry and your financial support for such ministry will help you share the joy and demonstrate yourself to be a good steward of God-provided resources. Nov.11th - Dec. 31st, 2016: SfK Ministries Year-end Funding Campaign. Feb. 13-16, 2017: Chiang Mai Summit Forum on BAM in Chiang Mai, Thailand. Jeffrey will participate in this forum. Mar. 7-11, 2017: Wealth Creation for Holistice Transformation Consultation in Chiang Mai, Thailand. Jeffrey will participate in this consultation as a member to two groups of sub themes. Apr. 3-7, 2017: SfK Mini MBA (Missional Business Academy) in Kigali, Rwanda. Jeffrey will lead the training for intended missional entrepreneurs. Please pray that God will mobilize sufficient people and resources to support the needs that SfK Ministries has identified. 95% of the donation will go directly into programs. Please pray that SfK Ministries will lay out a solid ministry plan for 2017 and beyond. Please pray for God's grace upon the process of establishing SfK Korea and SfK Asia. Please pray that the database development will bear fruits in His time, which will enhance our ministry operation significantly. Please pray for the relocation and settle-down process for Jeffrey and Kristin. We pray that you will be more grateful than ever for all blessings that you have received from our God. We also pray that He will bless you with His divine peace and overflowing grace in your life. Joyfully in His service together with you. Thank you for standing with us.